Directions: The Hemispheric is part of the City of Arts and Sciences in Valencia, Spain. 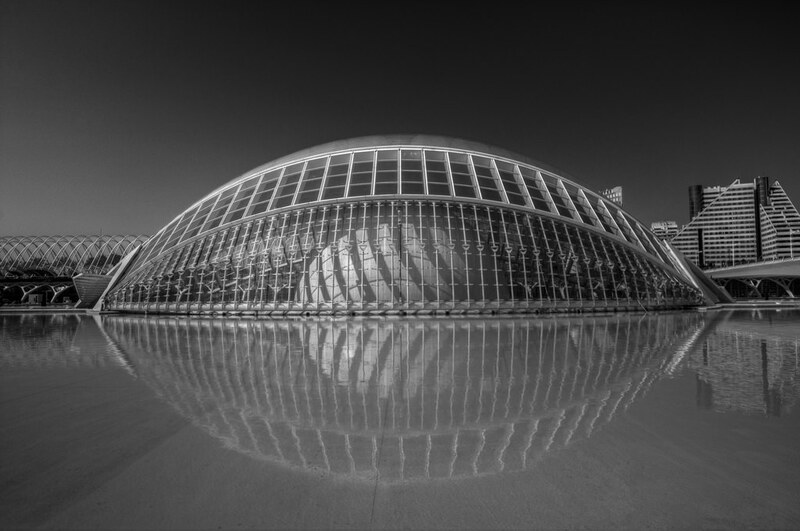 The City of Arts and Sciences stretches along the reclaimed river that use to run through Valencia. The Hemispheric is surrounded by water in a shallow pool, so you should always get a reflection. It’s get very busy here, especially in the summer. It’s best to get here either early morning or early evening as there’s less crowds. Tripods are allowed.